Is it possible to learn how to trade starting from scratch? Unfortunately, the most sincere answer to the question “is it possible to learn trading from the scratch fast” is “no”. However, if we remove the word “fast”, we get a positive perspective. So, we continue with a positive attitude! training materials in the Internet and their usefulness. Why it is impossible to learn trading fast? 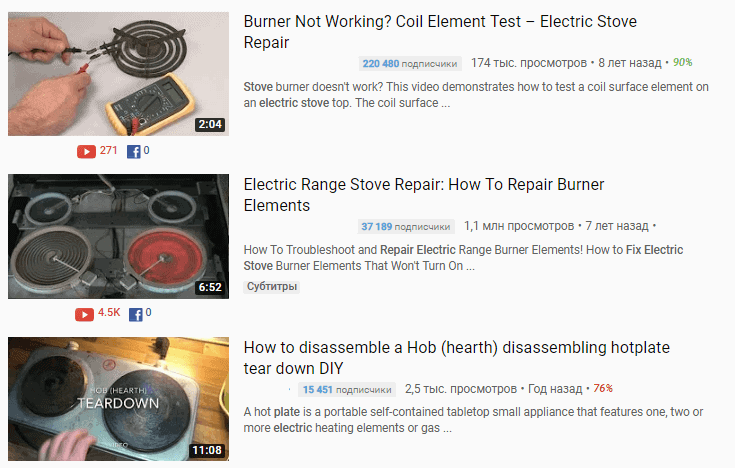 We found more than 50 videos with various variants of an electric stove repair in YouTube. Perhaps, you might repair your stove after watching some video, but will you become an expert after that? You need, at least, 5-10 years of training to become a professional medical doctor. The profession of a trader is not an exception. The author of the Scalping Is Fun book writes that you need 10,000 of trading hours to develop a sufficient experience. A writer Malcolm Gladwell introduced a concept that, apart from talent, you need to spend 10 thousand hours of training to become a professional in any sphere. For example, before the Beatles became popular, they performed in Hamburg for 10 thousand hours from 1960 until 1964. And 13-year old Bill Gates devoted 10 thousand hours to programming experiments after he got access to his senior sister’s computer in 1968. Trading is a full-fledged labor activity, which takes even more time than average employment. When we change employment or look for a new one, we pass several job interviews, probation period, training and establish relations with our colleagues. Each trader passes similar stages in his development. Stages of the trader’s development. The first stage is broker selection. It takes from several weeks to one month. The stage is passed when you open your account with the broker, put money on your deposit and install the required software. Everything is charged for trading. You can select another broker with less commission fees or better service support after some time. The first broker is as the first employment or first teacher – you will remember him for a long time. However, from the point of view of professional development, a trader has to compare services of different brokers from time to time, looking for the one who would suit the best for his individual trading style. The second stage is training. It takes from several months to infinity. realize that you do not need to outperform anyone to make profit. If you do not know anything about the exchange, demand and supply, bids and asks, first of all, read some training and educational literature and watch The Wolf of Wall Street and The Big Short films. immediate feedback in the form of profit or loss. All tasks should be small and specific in terms of time and performance feasibility. Let us consider two plans of training a successful trader. Why these particular two options? First option, because we have already written several articles about the “Weis waves” and the same name indicator. And second option is self-evident for all the traders studying volume analysis. Plan 1. Learn trading with the use of Weis Waves. 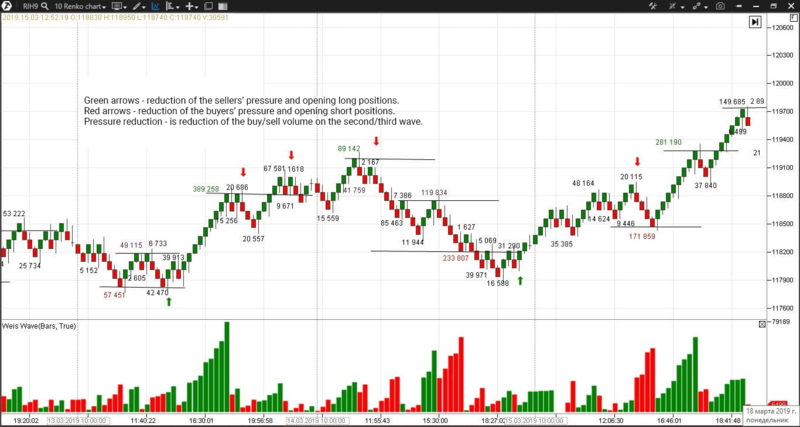 The goal is a profitable trading with the use of the Weis Wave Indicator in 9 weeks. Detailed analysis of the “pressure reduction” trading setup without real-life trades during a trading session and planning possible entry and exit points. We will enter a trade in case of reduction of the wave volume on the second or third wave. 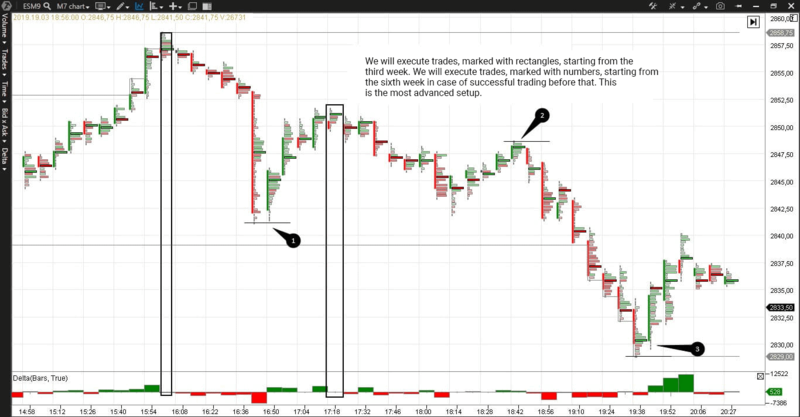 We will exit a trade at the next support/resistance level – second week. 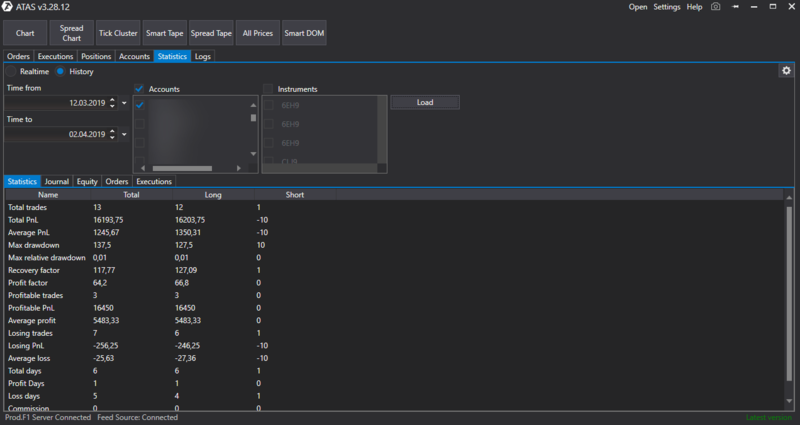 Trading 2 contracts with a stop of 2 renko bar – sixth-ninth weeks. The result – a number of profitable trades is bigger than the loss-making ones and the average profit is above average loss in each trade. Corrections – we reduce the number of contracts and increase the periods of task realization in case of losses. Plan 2. Learn trading using delta and footprint. The goal is profitable trading with the use of footprint and delta indicator in 9 weeks. Preliminary analysis of “changing delta at significant day levels” trading setup without real-life trades within a trading session and planning entry and exit points. We will enter a trade when the delta changes color at the day’s significant levels and exit at the next support/resistance level – second week. Trading the more advanced setup – “exhaustion of sells at the day’s high/low with further delta change” – sixth-ninth weeks. Result – a number of profitable trades is bigger than the loss-making ones and the average profit in each trade is higher than the average loss. Corrections – we reduce the number of contracts and increase time periods of task realization and trade a simple setup in case of losses. We do not start realization of a more complex setup without a stable profit at a more simple setup. What to start the trading learning with? The most difficult for a beginner trader is to select a niche. The markets are huge and all people are different. Most probably, you will have to try many different variants before you find the one, which would bring you both profit and satisfaction. Do everything to reach after your competitive advantage. If you trade crossing the moving averages in the MetaTrader, you can hardly call it an advantage. Use progressive approaches – cluster analysis and footprint – and use automation. It is important to be among the first ones in order to make profit. We discussed possible trading niches in our article about books on trading. The third stage is a probation period on your first deposit. It takes from several months to several years. The stage is passed when you stopped losing money and the trading account analysis shows stable growth with small falls. The falls should not be more than 5% of your capital. You can keep the trading statistics in Excel by yourself or use functionality of modern platforms. ATAS reflects complete information about trades for the selected period in a table or chart form. The fourth stage is perfection. The stage is passed not only when trading brings you enough money for living, but also brings yourself in the state of flow. Flow is the state of happiness and satisfaction. After you experience it for the first time, your only wish would be to come back to that state again. What advice will not help you to learn trading fast? Long demo account trading – if something is good on paper, it will not necessarily be good in real life. As soon as you start losing or making money, you will experience pain, fear and greed. Emotions interfere with your trading strategy and discipline. Frequent jumping from one trading niche to another – brings you success in none of them. Do you remember about 10,000 hours you need to become a professional? Exercise the set tasks with patience and discipline. Blind copying a somebody else’s trading strategy – you will not be able to trade reasonably if you do not understand how somebody else’s ideas work. Trading with a big credit leverage – a desire of a beginner to make quick money usually results in huge losses. Paid training courses of unknown “gurus” of trading. Trust those who is ready to produce broker’s reports and do not hide their trading strategy. A profitable trading strategy is not something that expires when you share it with others. Brokers and exchanges regularly conduct webinars, publish free forecasts, answer questions and give recommendations. The main goal of this group of “teachers” is to attract as many players as possible and open as many brokerage accounts as possible. Brokers and exchanges make their living from commission fees paid by traders. They always act in their own interests and they want to increase a number of trades. Successful traders with famous names – for example, Larry Williams or Alexander Gerchik. These traders show profitable broker’s reports and sell their software. If the training goal is education of inexperienced traders, the training would be free. If the training is not free, a question arises – why does a successful trader all of a sudden start training others? You can make much more money on the exchange than on webinars. Actively interacting with a specific paid tutor you become dependant on his advice and approval and you are ready to pay for a growing number of training events. Make calculations to see whether training investments would be repaid by income from trading. Unknown traders, who “successfully trade” on the exchange, but are reluctant to show broker’s reports. If trading cannot ensure the desired level of living, one has to look for additional income. The easiest way is to give advice to beginners in something that you already tried yourself. Before you start using paid services of these group of “teachers”, ask yourself a question: “is this person a really good specialist?”. Software producers – promote their products. As a rule, they have a video channel, blog and website where they publish free materials. Software producers are also interested in a bigger number of their clients. But, unlike brokers and exchanges, they create a unique product, invest time, programming efforts, ideology and only after that they want to make money. A professional builder / dentist / musician pays for high quality instruments, which would serve him a good service and will be repaid in future. Payment for trading software is the same. It is a necessary expenditure for increasing you competitive advantage in comparison to other traders. You can learn trading from scratch by yourself, but not fast and with certain financial expenditures. Self-education requires from you to distinguish useful information from useless, develop understanding about exchange trading, technical and cluster analysis and then select a niche and realize your trading system step-by-step. Discipline, modern software and time are the best teachers. Good luck!